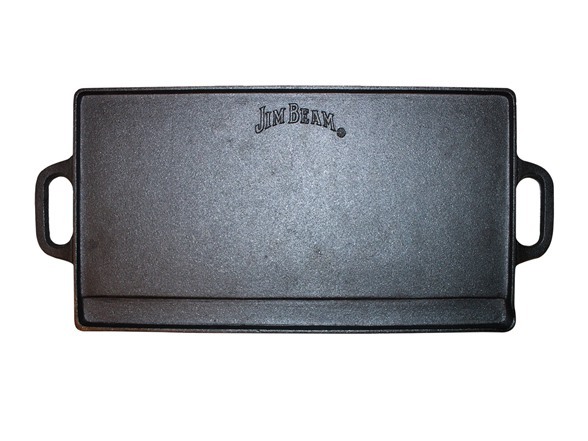 Cook your favorite fish, meat, vegetables and more on the Jim Bean Double-Sided Cast Iron Griddle. 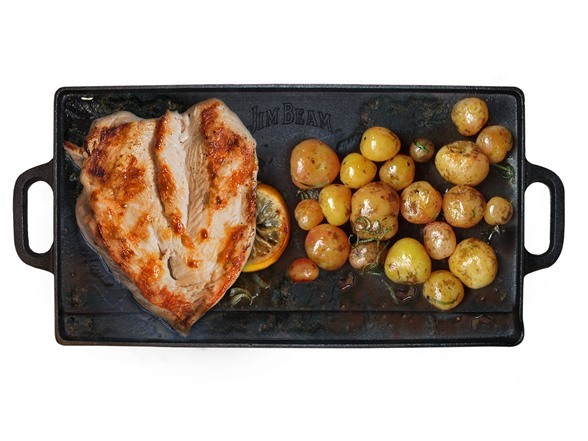 This reversible griddle allows you to cook on a flat or ridged surface. 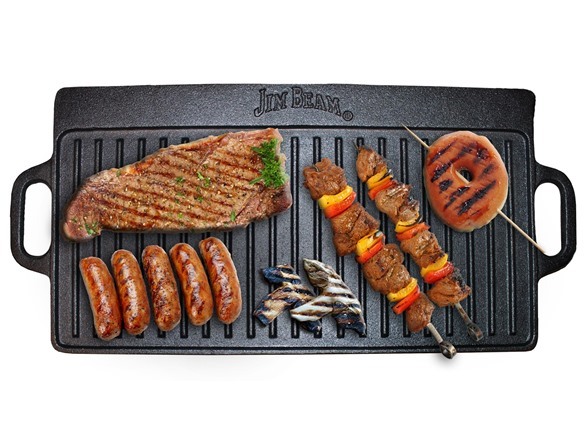 The reusable double-sided griddle cleans up easily with mild soap and water. 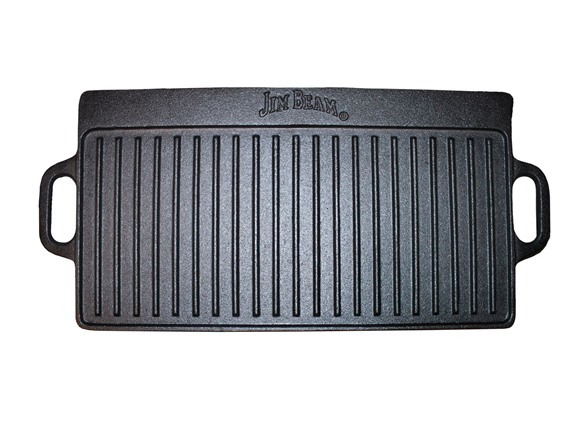 The double cast iron griddle is broad enough to easily fit on two burners. 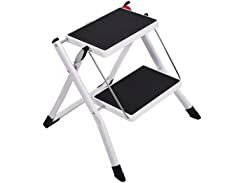 Reversible Griddle goes from smooth surface to ridge surface. Large 20"x 9" fits over two burners.